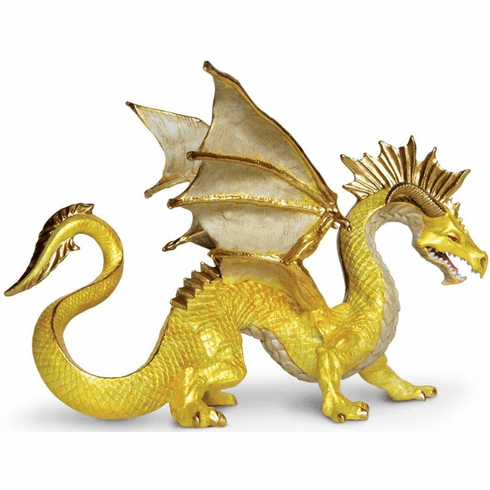 The Golden Dragon is a rare Horned Chinese Dragon with wings. 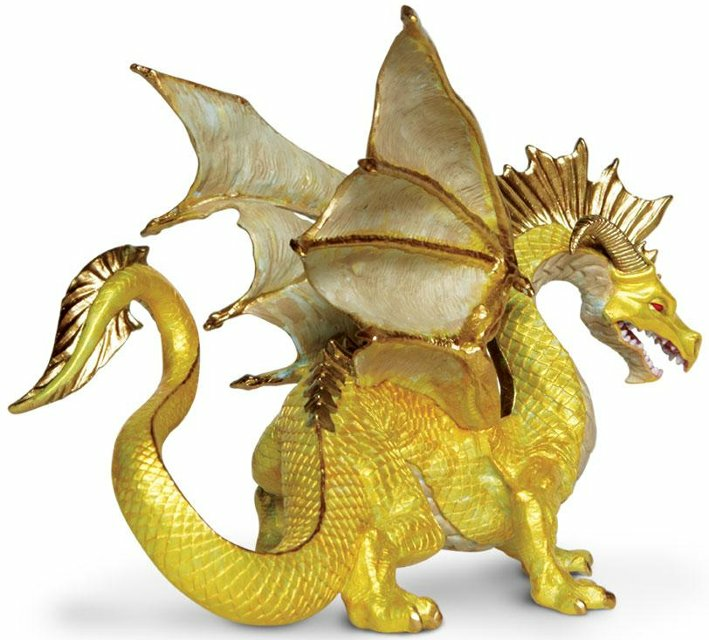 The wings are an adaptation for highland living, unique to Golden Dragons, a sub-species of Chinese Dragon. 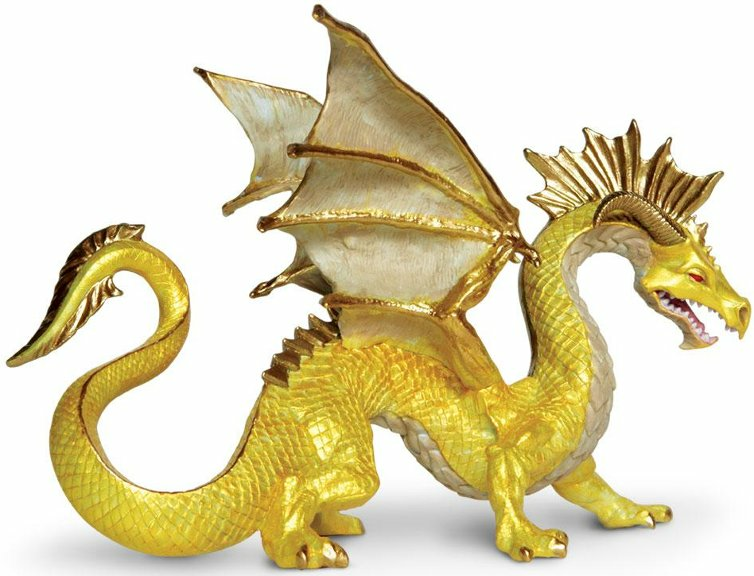 Golden Dragons live in the mountains of eastern and central Asia, where their wings enable them to travel easily. Approximate size in inches: 6.69 L x 4.21 W x 4.33 H.